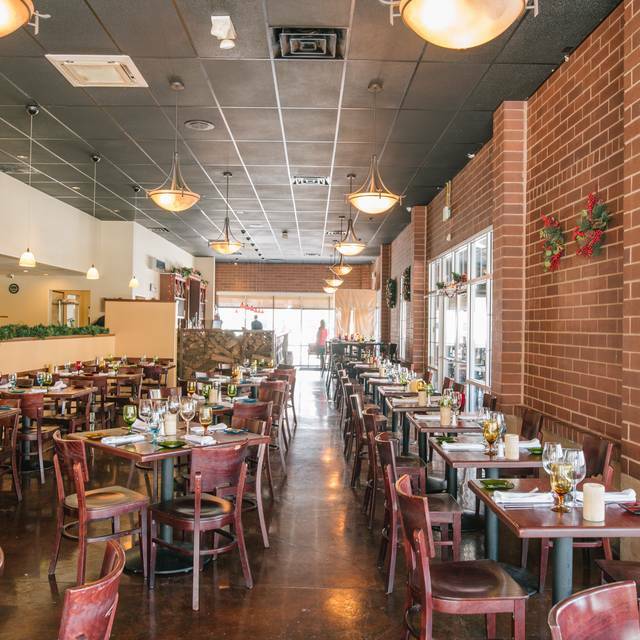 Authentic Italian Restaurant in a trattoria setting. 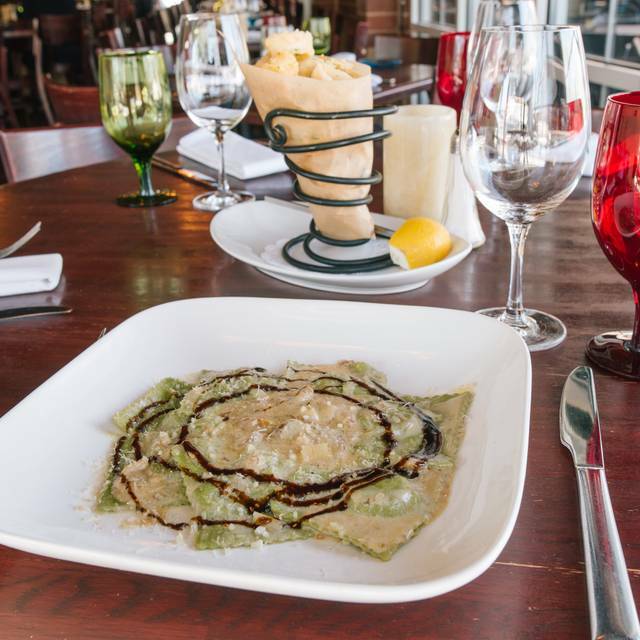 We serve genuine traditional Italian recipes with our Chef's personal touch, in a warm and friendly atmosphere. Our Chef bases his creations on his 25 years experience in the restaurant business. Our philosophy is to serve free range and naturally raised farm products whenever possible, and we try to support local farmers as much as we can. 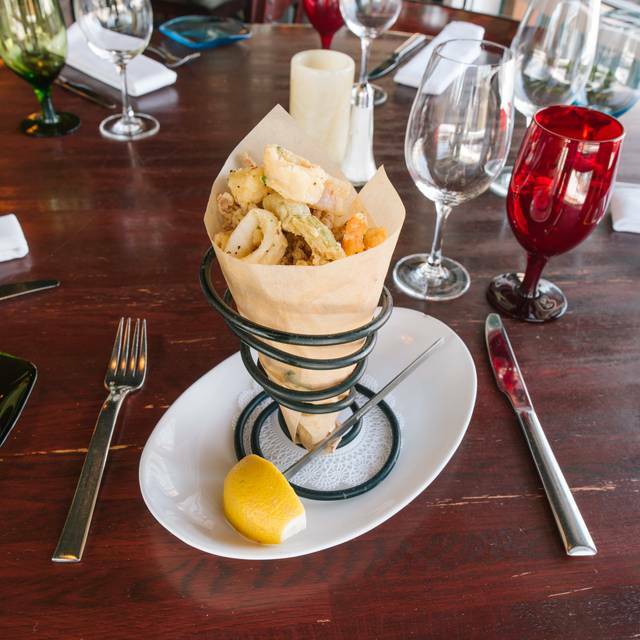 Our menu is paired with an Italian based wine list with international accents, including wines from USA, Spain, Australia, Argentina and others. Such a lovely venue. Our Waitress was absolutely delightful. She was so patient with my father who had many many questions. She timed our meal so that it was not rushed but also didn’t feel that we were being neglected. Their wine list is quite lovely as well. We always enjoy dining there. Note, however, if one would like a more quiet dining experience one should come after at least 730. We always have a good experience here and enjoy the food. It’s family friendly too. Branzino improperly deboned. Presented as mush on a plate. Unappetizing and tasteless. Delicious food - as usual! Excellent service! We come to Locanda Del Borgo OFTEN. We have never been disappointed. We had a res. for 6:15 and arrived early and were seated. We ordered wine and didn't get it for 20 minutes. We were asked if we'd like bread and it look a reminder 20 minutes later. We were not served our dinners until 7:45 which had been sitting for a while and were all mediocre at best. We received more bread after our meals long after our meals were finished. Not once were we asked if we'd like more wine, dessert? I felt like perhaps our server was new and the restaurant was way understaffed and servers harried. A very poor experience. It was difficult getting a reservation on line, had to try at least four times but it was well worth the effort. Had a great evening with delicious food and great service. Took a chef-quality cook friend from out of town to this neighborhood place and she was astounded by the food! Crostini is fantastic. A delightful experience. The food and customer service are great. We were not rushed and actually took a long time for a lunch. I will definitely go back again. The basics were fine, pasta and salad and wine and dessert, but the two main dishes, pork chop and fish special were mediocre. The fish was “deboned”by our server who had no idea what she was doing and mangled the meal, and the substitute to mashed potatoes was merely a bit more broccoli without anything else for my chop: average and adequate, but not good value. Nice people and a very. Ice ambiance, but disappointing for the main meal and service. loved coming back after not having gone to this restaurant in a few years. Still charming / cosy and just right for conversation and a great meal. I would love to see some better sparkling wines by the glass offered. To start the cocktails were delish and quiet the healthy pour I was very happy about the price value! The Alla Bolognese is to die for, I feel like I was closing my eyes in between bites to savor the flavor! And to finish off with the tiramisu was the best choice of the night! We found the ambience very inviting. Surprisingly, the sound level, although not a busy night, allowed for comfortable table conversation. Our server was efficient and pleasant. 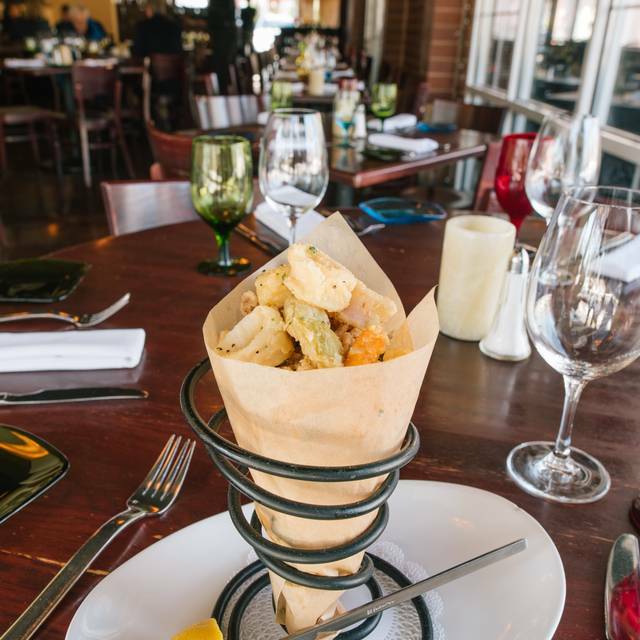 We look forward to our next dinner served on the patio. I've already recommended the excellent food to a friend. Our most recent dinner at Locanda Del Borgo was great. The past few dinners had been a bit spotty but this most recent visit was back on par with what we have come to expect. We both had different dinner specials (fish and risotto) and both were outstanding. Based on this experience, we will be back. We were 5 ppl. Crammed into a table for 4 . We had a reservation so it wasn’t like they didn’t know how many we were. Food was very good. We have been patrons since it opened but tonight was our last night. The service was terrible! Locanda Del Borgo consistently serves good food in a reasonably quite restaurant, usually with good service. It is not inexpensive; for two people, you will not get out for under $60. There is sometimes an issue with the person at the front who seats customers. She will sometimes try to seat a customer at the least desirable table (near a door or pathway), rather than at a requested location. On our last visit, we requested one of the four tables by the kitchen and were told that they were reserved and therefore unavailable. When we finished our meal an hour later, all four of those tables were still unoccupied. 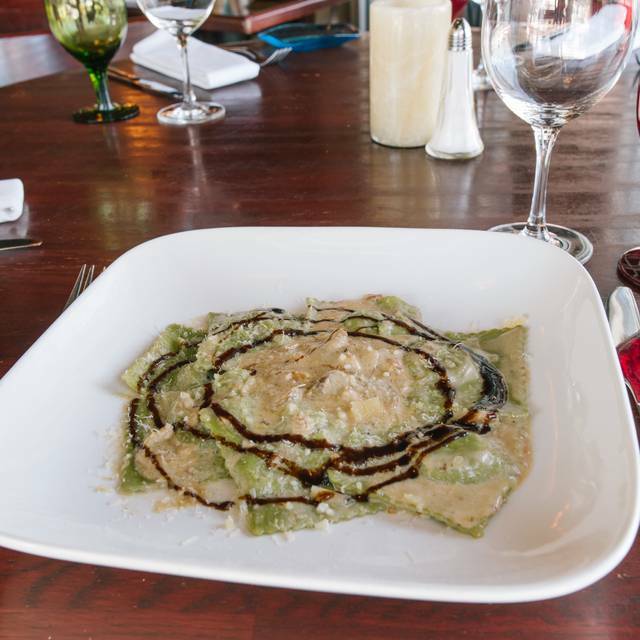 Locanda del Borgo consistently serves authentic, lovely, delicious Italian food that is reasonably priced and never disappoints. This is a great place for a casual evening and anyone can find something tasty to please their culinary desires. The service is sometimes inconsistent and parking can be a bit challenging, but the food is worth any even remotely average of anything else. This is a repeater every time. Wonderful place. Have spent many special occasions here. My favorite. 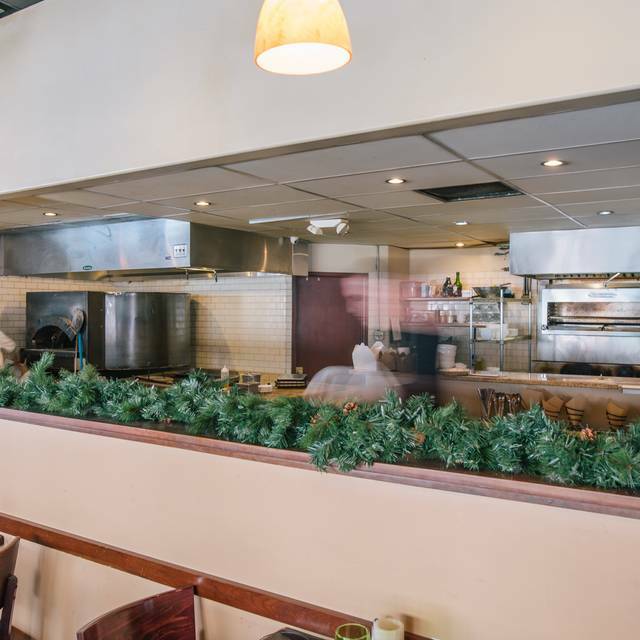 We've eaten at Locanda many times. This time I definitely noticed a definite slip in the level of service, even though it was somewhat later and the evening rush was over. Once again, the odor of smoky cooking smells was very strong, to the point where it was unpleasant. Surely this situation can be fixed with a larger and stronger kitchen fan. This was a delightful surprise. We selected it for its location; close to a theater. Both the food and service were excellent. Two of us had lasagne; their report was excellent. One had daily special, also excellent. And, I had veal piccata and it too was excellent and I am very picky when it comes to veal piccata. And, we liked the ambience, casual and neighborhood. The wood burning aroma took us immediately back to Italy! Food is dependably good. Waitstaff very friendly and attentive. Food and service were great. Only downside is you absorb all the kitchen smells from the wood burning oven so clothes and hair smell unpleasant when you get home. If you have any food allergies, I do not recommend this restaurant. Despite putting a note in my reservation about my allergies and discussing them last night with the waitress, I am having a severe gluten and dairy reaction this morning. The waitress did not seem to understand the seriousness of my allergies. We were seated at 7:00 on Valentine's Day. Our first 3 wine choices were not available, and several choices on the menu were also unavailable. I ordered a 2nd glass of wine, which did not arrive until we had finished our entrees, so I canceled the order. When our bill arrived, we were charged for the canceled glass of wine. While our waiter was pleasant, the evening was a disappointment. We always enjoy dining here. First time for Valentine's day. I had the Branzino, which I've ordered many times and loved, but this time was the exception. Either the fish was overdone or our server didn't have enough experience with de-boning a fish tableside. I was presented with a fish that looked like it had already been eaten. The filleted branzino still had many bones in it. I was disappointed. My husband's steak came out perfectly. He was very satisfied with his meal. This restaurant is the restaurant that I love. But it wasn’t as good as usual? 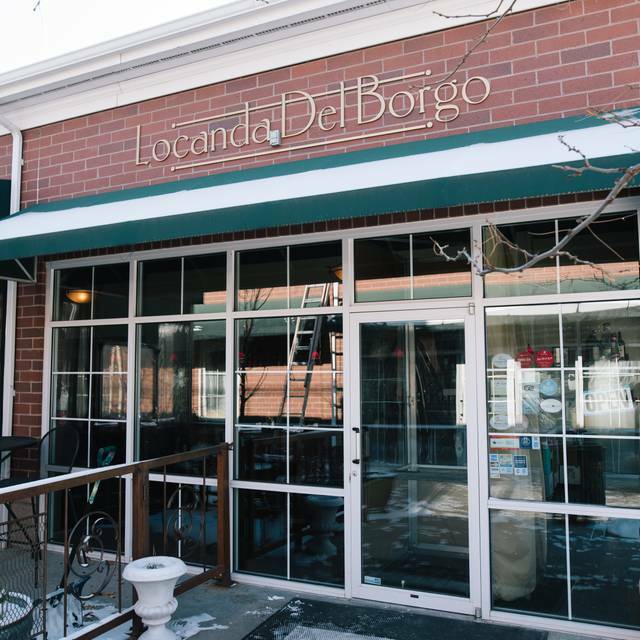 We absolutely LOVE Locanda Del Borgo! The food was delicious last night - so happy it was a full/open menu (no preset V-Day menu). Our waiter (sure wish I got his name) was FANTASTIC - lovely young man, who was happy to be there "serving" us. They were closed and we we never told!! Yum on all levels!!! The pizza, the eggplant Parmesan and the ravioli!!! great as always. would be nice to know when it's osso buco night, that was delicious! it even pleased our hard-to-please relatives. Solid neighborhood restaurant that offers good options, good service, good drinks. Wonderful fresh food. Everything on the menu is delicious. Great server. We were a party of 7 , when we were seated the table was only set for 6 people.We asked the hostess for another chair and it took her close to 6 minutes of my husband standing at the table to get a chair .Not acceptable but we moved forward.The waitress was overwhelmed and most appetizers where either wrong or cold.She never came back to check ! Our meals either came out wrong or cold ! Asked for bread never got it , asked for more water took forever , asked busboy to get waiters to reorders on drinks never got them !! Bottom line never going back !!! I ordered the baked chicken which consisted of the back, literally with the tail left on, and 1/2 breast and wing. I often forget about this great restaurant 2 miles from the house. Easy parking, pleasant staff. Service was excellent and all four of us enjoyed our dinners. Everyone should try this Italian restaurant and keep it on your list of places to go when you can’t think where you want to go. Hope that makes sense.